How to get rid of rats? : Rats are perhaps one of the most dreaded creatures in the world. The last thing people want in their homes is a rat infestation. The worst part is that they not only bite but may also carry mites, fleas and microbes in their fur, increasing the risk of disease and illness. Not to forget, their urine can cause leptospirosis if gets in contact with the human skin, which in several cases have resulted in death. If you have a rat problem in your home, you should take action to get rid of them as quickly as possible. The good news is that there are many effective home remedies to get rid of rats and other rodents. 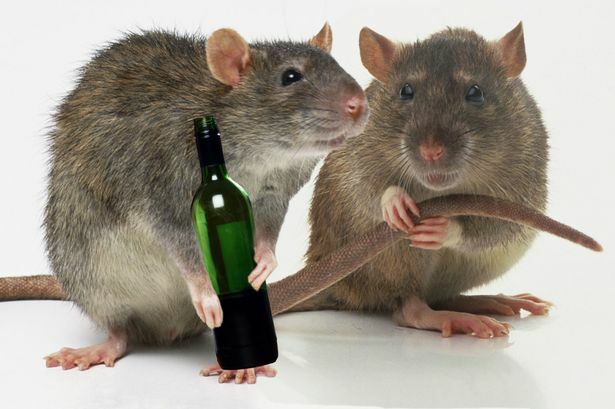 How to Get Rid of Rats with Homemade Rat Repellents? You probably use ammonia as a cleaning agent for different parts of your home. But did you know that it can also act as a rat repellent? Rodents hate the smell of ammonia and using it will help you in getting rid of them for a long time. Mix 100 ml of water, 2 cups of ammonia and 2 spoons of detergent. Pour the mixture into a bowl and place it in areas where rats appear the most frequently. It is likely that you will notice instant results as the smell will repel the rodents and this remedy will most likely drive them away for years. Related: How to get rid of spiders from your home? This is another ingredient that is always present in homes. Apart from being indispensable as a condiment as well as a sneeze inducer, pepper can also act as a highly effective repellent against rats and other rodents. Like ammonia, the smell of pepper repels rats and will have them scurrying away within minutes. Using pepper to get rid of rats is extremely easy. All you have to do is sprinkle small amounts of ground pepper around holes and corners that rats use to enter. Also sprinkle ground pepper in areas that you have often seen rats. Repeat this daily for several months and rats will completely stop visiting your home and wreaking havoc. Every home uses mothballs to keep bugs away, but it may be surprising to learn that they can also be used to repel rats and mice. You do not have to mix them with anything to make a rodent repellent. Easy available and cheap, mothballs are one of the best home remedies when you need to get rid of rats and mice from your home and make sure that they stay away. For maximum effect, place mothballs in different areas of your home. If you have holes that rats use to enter your home, place them around those holes. You should also place mothballs in deserted areas such as your attic and basement. It seems rodents have a dislike of many smells, and the smell of onions is one of them. Onions are another effective home remedy for eliminating rats from your home and preventing them from coming back. This is an ingredient that you always have at home. So, all you need to do is go to your pantry and get one of the best rodent repellents. Slice an onion and place a slice inside or near their burrow. They will scurry off in a rush. If rats enter your home from a corner or a hole, place a sliced onion in those areas as well. This will keep them away for good. Related: What are the best ways to get rid of moths? By now, you probably must have an idea that rodents do not like certain strong smells. Peppermint oil has quite a pungent aroma and rats absolutely hate it. This makes it another super-effective natural remedy to get rid of rats and make sure that they do not return. Peppermint oil is a great choice as it does not harm children or pets. Place a few drops of pure peppermint oil around your home, especially in areas where rats are often seen. You can also place a few drops in your kitchen. As mentioned above, it is harmless for kids and any pets you may have. Another great way to repel rats from your home is to grow mint plants around your home. This will definitely help in preventing rodent infestations in your property. Related: How to get rid of lizards with home remedies? Does this sound crazy to you? It might, but it works wonders! Because the potato flakes are dehydrated before being stored, they expand in the rats’ stomachs when they eat them. Before they know what is happening, the rodents die of bloating. If you do not mind getting rid of dead rats, this is an excellent remedy. All you have to do is place some instant potatoes along with a bit of ranch dip in areas used by rats to enter your home. Once you have used this method, rats are sure to stop trying to enter your home, knowing the danger that lurks there. Related: What are the most effective ways to get rid of ants? What are rats most scared of? Snakes and cats! You can fool rodents into thinking that you have a pet snake or cat by getting dried cat or snake litter from a local zoo or pet shop. The fear of the snake or cat will keep rats from ever entering your home again. However, you should note that if a rat has a toxoplasmosis infection, it may actually be attracted to cat litter or cats – it is one of the strange side effects of the disease. Place the cat or snake litter in areas that rats often visit and near holes that they enter from. That is all you have to do! The litter will do the rest of the job. You can be sure that rats will not be coming around anymore. Note: Keep out of the reach of children and pets. As you can see, you do not need to use harmful chemicals to get rid of rats from your home. With a few simple items that you typically always have at home, you can safely and naturally repel rats and other rodents and prevent them from coming back.